Occasionally, whole pork loins come on sale for a price a little less than the gross national debt of a small country. This happened last week. I picked up a nine pound whole pork loin and cut it into several chops and some loin roasts that were about 1 1/2 pounds. 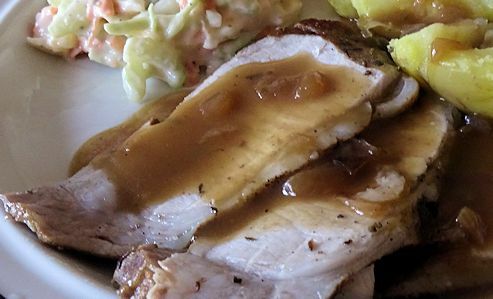 These roasts are just about right for two meals for She Who Must Be Obeyed and me. Sometimes you have to go back to the basics. No frozen slushy margarita or ultra sweet bellini. 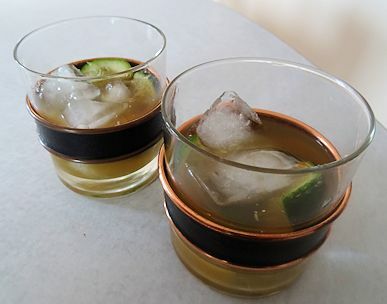 Just a good tasting cocktail that celebrates the flavour of the base liquor. 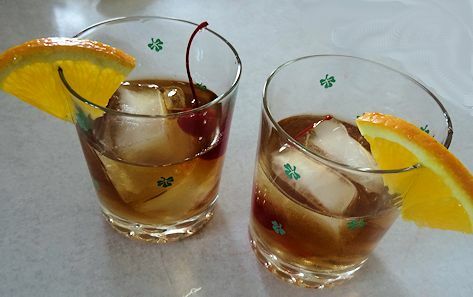 So I made us Old Fashioned Cocktails. 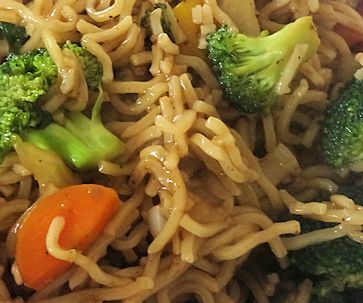 A great meal doesn’t have to be expensive or a lot of work. She Who Must Be Obeyed picked up a one kilogram (two pound) blade steak on sale. 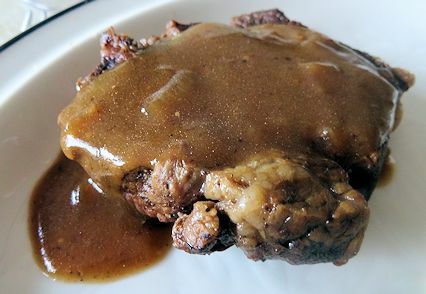 Simply braising it and using the liquid to make a great onion gravy makes a meal fit for a king (ouch, or a queen). It is spring here in the mountains so I planned to smoke some pork. Typical of the mountains, it got cold and snowed. Sigh. 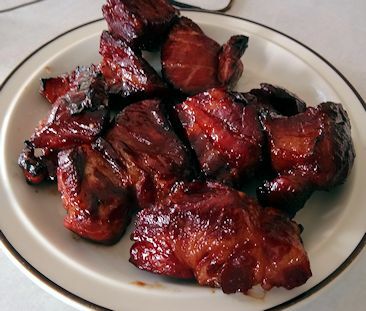 Oh well, us Canadians are tough and I went ahead and smoked Char Siu Pork, pork shoulder marinated and smoked. 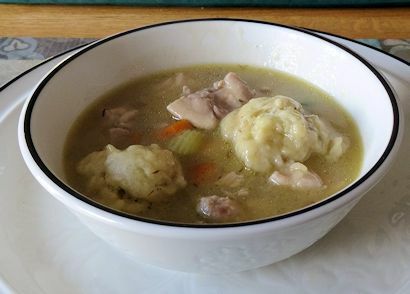 I have never been a big chicken and dumplings fan. 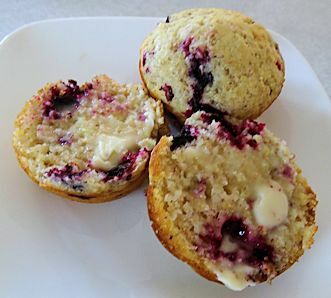 Yes, it tastes great and it is comfort food. However, there are drawbacks to the way I am used to seeing it prepared. 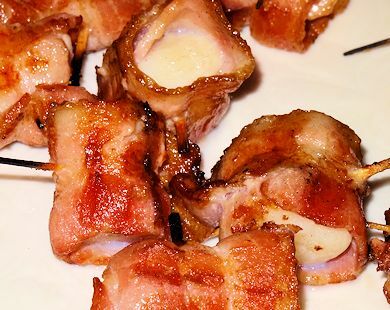 I have posted how to make Double Smoked Ham previously. The method of making one and a video are on that post so I won’t go into a lot of details here. 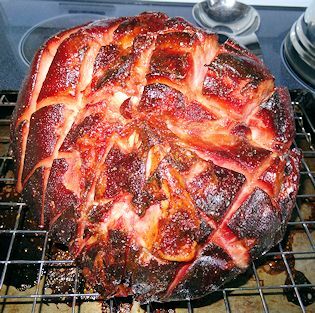 Here is the link to that post: Double Smoked Ham. However, for Easter Dinner I tried a different glaze, Orange Ham Glaze.